Repton and Willington, two villages in South Derbyshire, are presently only one mile apart, about 20 minutes walk, but this has not always been the case - they were separated by the River Trent! Before 1839 you either used the ferry, off Meadow Lane, or you risked the ford (just off Ford Lane) , and chanced a dousing when making the crossing! This caused great difficulty for the connections and trade between the two villages and, for the those living in Repton, to even get to Derby. 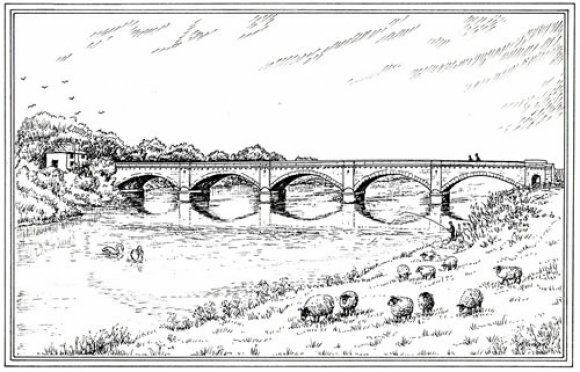 The inhabitants decided that they had to improve the situation, and so by a great deal of effort on both sides, Royal Assent was given on August 21st 1835 and a stone Bridge over the River Trent was conceived. A Trust was initiated, and shares were sold, allowing moneys to be raised to build the Bridge and the causeway. The bridge was initially to connect onto Meadow Lane , close to the old ferry, but it proved to be cheaper to build a new raised causeway to the present site. Mr. James Trubshaw was the engineer who designed and built the bridge at a cost of £10,560.00 including £2,150.00 to Mr Pearsall, as compensation for the closure of his ferry. In addition the ancient ,metalled, ford was made impassable. The bridge was commenced in 1836 and opened, with suitable ceremony, in 1839. 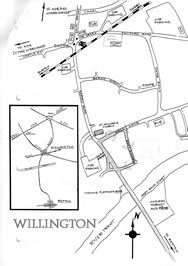 There was a manned toll house built at the Willington end of the bridge and a toll gate went right across the road. By 1890 the two villages were disillusioned with their wonderful new bridge and dreamed of free access and crossing. A movement to lobby the County Council was organised and eventually, after much effort, in 1898 Willington Bridge was made toll free, passing into the ownership of Derbyshire County Council on August 1st. It was a beautiful day , there was a huge celebration and everyone was invited. First there was a parade, a 'freeing from toll ceremony', after the paying of the last toll penny the first person to cross free of charge was Sir Francis Burdett, who had been very influential in ensuring the toll was lifted. The toll gate was taken off its hinges and taken to Repton for display. Then there were games on Repton Cricket field, followed by a dinner and speeches; it must have been quite superb. 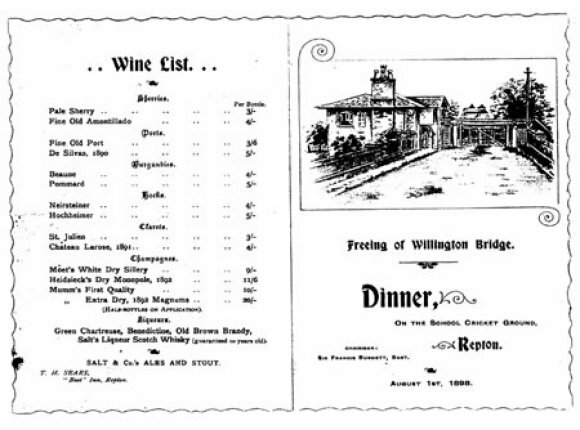 One hundred years later, in 1998 , Repton and Willington Parish Councils joined forces to organise a celebration the 'Centenary of the Freeing of Willington Bridge', to mark the freedom for something that we now take for granted, but which many dedicated people gave their time and money to obtain for both communities, and for the public in general. To mark the event it was decided to construct a viewing platform on the site of the toll house and looking over the river to Repton Church. The site was cleared and a plaque erected to commemorate the day. The day was quite the opposite to that enjoyed in 1898 - it was quite wet until early afternoon but no one was deterred! The road between the villages, and the bridge, was closed to traffic and people could actually walk, for about three hours, down the centre of the normally very busy road! A procession came from Repton , similar to the one of 100 years ago , complete with a band, followed by carts carriages and cars from every decade since the toll was freed. 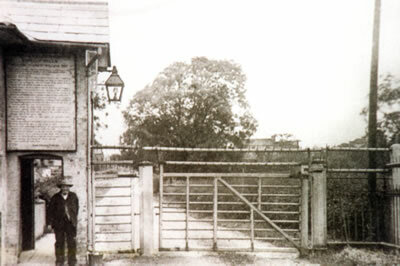 A mock toll bar was erected across the road and the Lord Lieutenant of the County, John Bather, paid the Toll Keeper (Dave Kite) with a 1898 penny. This was followed by formal opening celebrations for the new viewing platform, then a full programme of sporting and social events on the fields across the river , and a raft race to Twyford. That evening a dance/barbeque at Repton School ended the day's festivities with a bang, a fireworks bang! 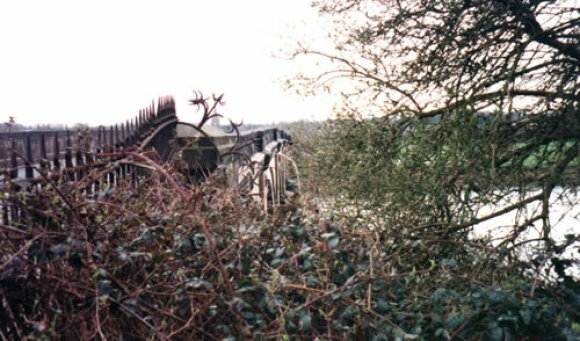 The bridge is Grade 2 listed and still resists the worst the River Trent throws at it in times of flood, some 175 years after it was built. Today it carries a steady stream of vehicles and is a main connection between South Derbyshire and the road network emanating from the Toyota island. It is perhaps always nice to look forward and wonder, if in 2098, someone in Repton or Willington might say, 'How about recreating those celebrations - the ones they had 100 years ago to mark the centenary of freeing the toll!' - you will never know!